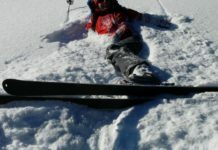 Generally speaking, a snowboard set up is less versatile for backcountry travel especially traversing and uphill, than a ski touring set up. 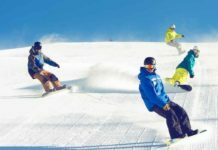 However, competent snowboarders keen to venture away from the groomed trails need not give up on their favored mode of downhill travel. 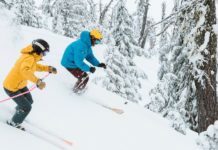 With plenty of practice, becoming accustomed to specialized equipment and considerate friends; a snowboarder can soon become a master of backcountry riding. 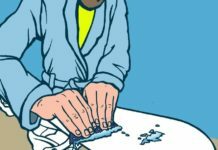 The set up used by a snowboarder is a matter of personal preference. 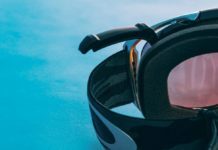 Equipment should be chosen depending on the snowboarder’s style, the frequency with which they intend venturing back country and the snow conditions they are likely to encounter. Regular alpine snow board and snowshoes. This set up is suitable when the added weight of carrying unused equipment strapped to a backpack, is not an issue. 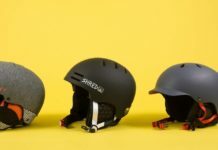 Also suited to snowboard trips where the snowboard is left at the base of the route (e.g. a steep couloir or gully). 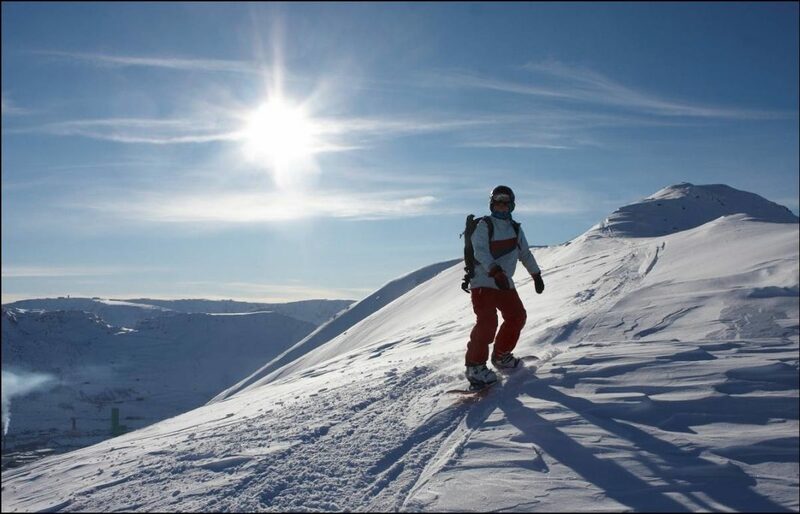 Snow shoes are well suited to travelling through powder due to their relatively large surface area. Regular alpine snowboard and short ‘approach skis’. As with snowshoes, approach skis can be used when the weight of carrying extra equipment is not a concern. Approach skis combined with touring bindings, skins and ski crampons are well suited to uphill journeys that involve long traverse sections (existing ski touring tracks made by skiers can be used). Split board. A split-board is like a regular snowboard that splits apart into two oddly shaped skis. In terms of minimizing weight, a split-board is the preferred set up, especially for multi-day excursions. Due to a large surface area the splitboard, which functions as two wide skis for uphill, is well suited to powder riding. Carry extendable poles for skinning and have them accessible for traverses and flat sections. Carry a small dish brush for cleaning the split board bindings when changing modes. 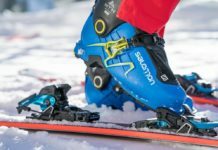 Purchase ‘ski crampons’ for travelling on hard snow. Wait for skiers to go first on traverse sections to ascertain speed and get sufficient run up. Never remove snowboard and walk on a glacier unless roped with other backcountry companions. The downhill performance of split-boards has improved markedly over the last few years. 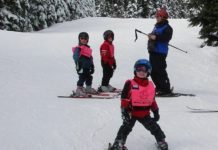 Backcountry snowboarding enthusiasts interested in saving weight carried on the back, should consider a split board for venturing beyond the lift-accessed boundaries.